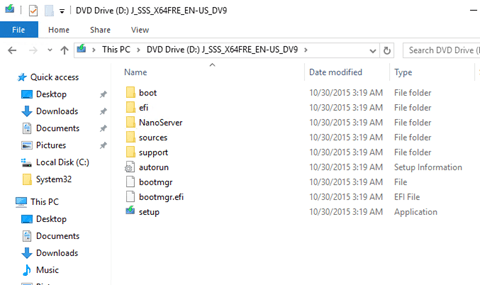 With the release of Windows Server 2016 TP4 I decided to show you how to create a Nano Server 2016 TP4. If you followed the release of TP3 you will notice that this process Is not the same and you no longer create Nano Server with the scripts used In TP3. 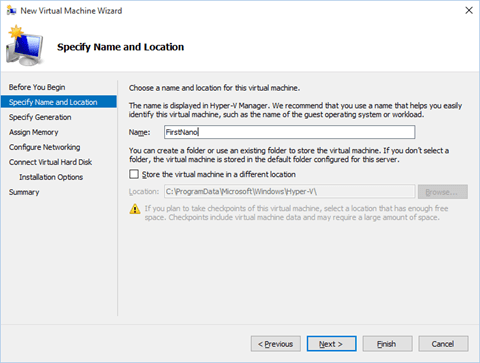 To complete this task you will need to Install Windows Server 2016 TP4 with full GUI before you can create a Nano Server. 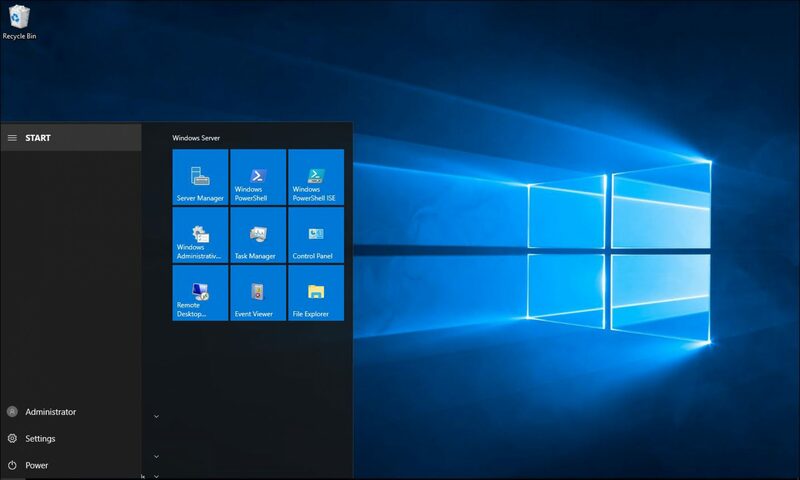 Once you have your Windows Server 2016 TP4 Installed open the Installation ISO Image and copy the NanoServer Folder to your HDD. 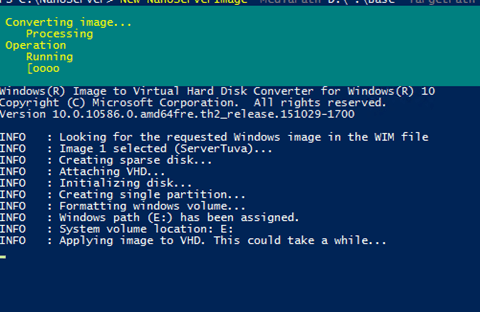 At this stage the Nano Server PowerShell Module Is loaded and you can start using It to create Nano Servers. Type your administrator password and make sure you remember It. At this stage Windows will load all the files and configure the O/S. 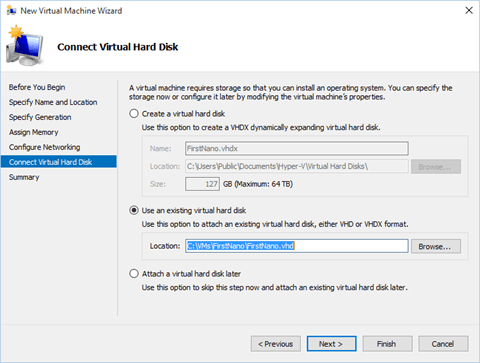 When done you will see the VHD. 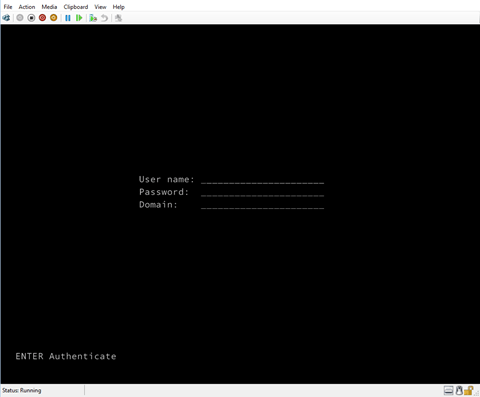 Now that you have the Server ready you can join It to the domain, manage It, Install packages and run IIS.